Digestive problems are a common issue among both men and women during any stage of life. Such difficulties are particularly common, however, during times of hormonal imbalance, such as menopause. The first step in dealing with digestive problems is to learn about their potential causes. Continue reading to discover the six most common digestive problems. Women are most at risk of irritable bowel syndrome (IBS) between the ages of 35 and 50, though it can also be experienced before and after this age range. Fortunately, IBS is not dangerous, but it can be frustrating, and sufferers may feel anxious that they will experience a flare-up. Before diagnosing IBS, doctors will first try to rule out any dietary causes or underlying conditions that might be creating your digestive problems. There is no cure for IBS, but some researchers believe increasing the amount of fiber in your diet and avoiding stress can help. Celiac disease affects up to 1% of the American population. This condition is caused by an inability to digest gluten, a protein found in barley, wheat, and rye, and is therefore present in a number of common, everyday foods. Symptoms can include diarrhea and abdominal pain, and eventually the stomach can become injured. The only treatment for this common digestive problem is to follow a strict gluten-free diet. Symptoms of acid reflux, such as heartburn, are fairly common, with one study showing that up to 6% of the population report suffering from reflux daily, and 14% saying they have weekly episodes. Treatments for reflux include weight loss, dietary changes, and reducing acid levels through medication. In more serious cases, doctors may need to use more invasive treatments, such as surgery. Inflammatory bowel disease (IBD) is a common umbrella term for a number of other conditions that can cause inflammation in digestive organs. Around 1.4 million Americans suffer from this condition. Closely related to irritable bowel syndrome, IBD doesn't have an established cause either, although some doctors suspect a combination of genetics, environmental factors, and a faulty immune system could be to blame. Anti-inflammatory or immune-suppressive medications and dietary changes can be used to treat IBD. 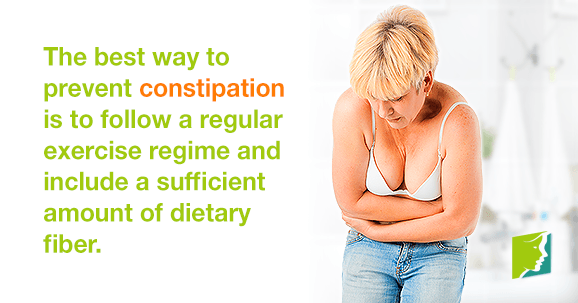 Constipation is perhaps the most common digestive problem. Although most people turn to laxatives to relieve their pain, these should be used with caution, because the body can become overly dependent on them. The best way to prevent constipation is to follow a regular exercise regime and ensure a sufficient amount of dietary fiber in your diet. Staying hydrated by drinking enough water each day is also important. While many true food allergies are rare, numerous people experience food intolerances that can cause immediate digestive problems. Typical symptoms of food intolerance include bloating and severe stomach cramps. The most common intolerance is lactose intolerance, though it is possible to be intolerant to multiple different foods at once. The best way to discover what you are intolerant to is to eliminate the suspected foods from your diet to see if you digestive system shows any signs of improvement. Digestive problems are a very common ailment, with most of the population suffering from them at some stage of their life. Depending on the problem, there are different ways of dealing with them effectively and finding relief. Many women find themselves suffering from digestive problems at one stage of their lives or another, especially during menopause. Learn more.